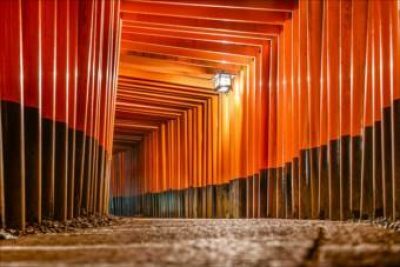 What is Fushimi Inari Shrine? 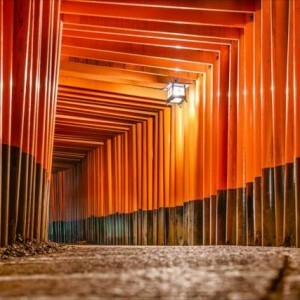 Fushimi Inari Shrine is the head shrine of Inari (which has more than 30,000 sub-shrines throughout Japan), which is located in Fushimi ward in Kyoto. Inari is a Shinto God of rice, agriculture, and business. 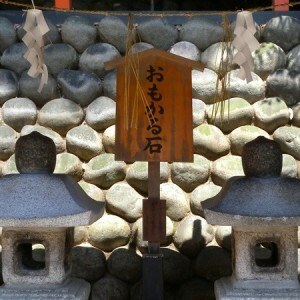 You will see many red gates and statues of foxes at the shrine. These are symbols of Inari. While the main shrine is located at the foot of Mount Inari, all areas on the mountain are considered to be sacred. 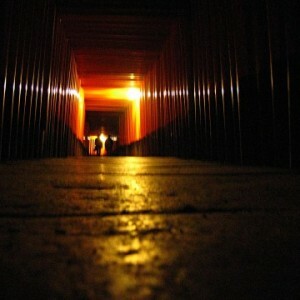 There are about 10,000 Torii gates on Mount Inari. Senbon-Torii (meaning “thousands of Torii gates”) is the most picturesque, as a great number of Torii are standing with very narrow intervals. All Torii gates were donated by Japanese individuals or companies. On the back of each gate, you can find who the donator was and when the donation was made. 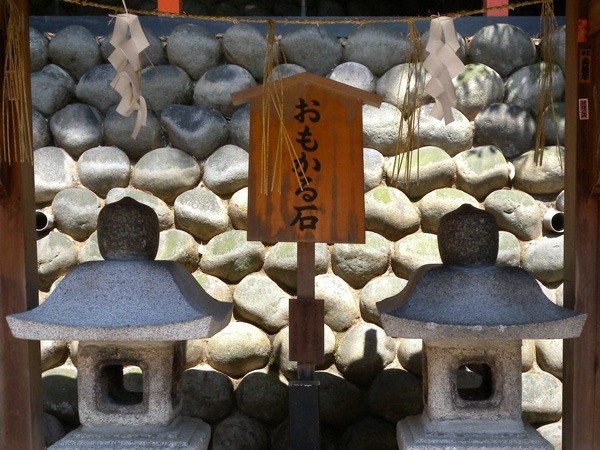 After passing Senbon-Torii, you will encounter a pair of stone lanterns on which two Omokaru-Ishi (meaning “heavy/light stone”) are placed. 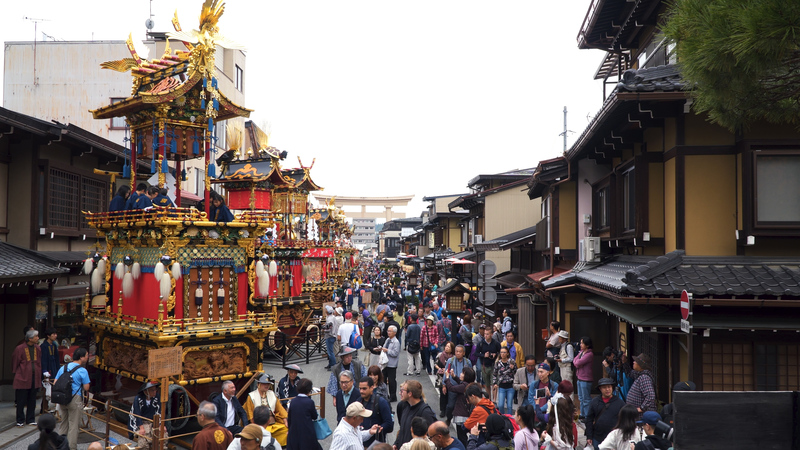 Visitors make their wishes in front of one of the lanterns, then try to lift the Omokaru-Ishi. If the weight of the stone is lighter than expected, their wish will be granted. If it is heavier, unfortunately it will not soon be granted. How high should you climb up the mountain? That’s a reasonable question. A good answer is to “Yotsu-Tsuji“. Yotsu-Tsuji is a resting place on the mountainside, 40-50 minutes from the main shrine. 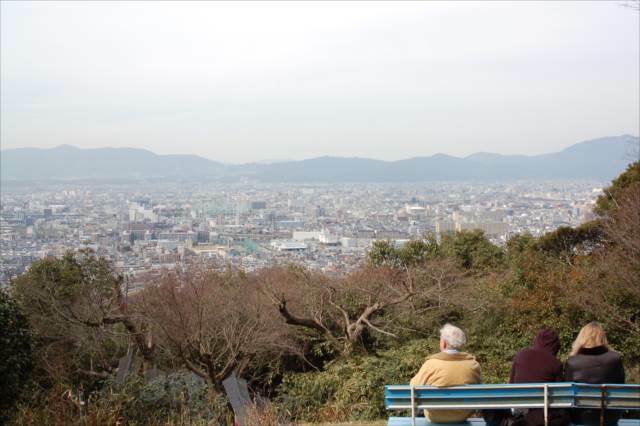 You can enjoy the nice view of Kyoto city from there. Whether to continue climbing or not is up to you. 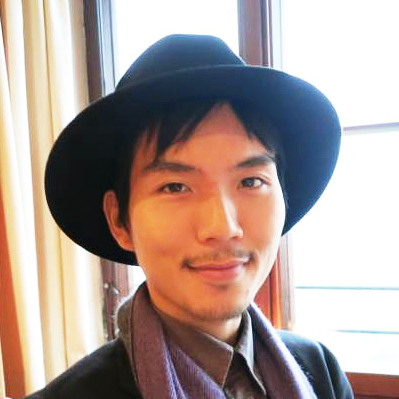 Unlike Yotsu-Tsuji, mountaintop does not award you any particular view. It only offers a mere feeling of achievement. 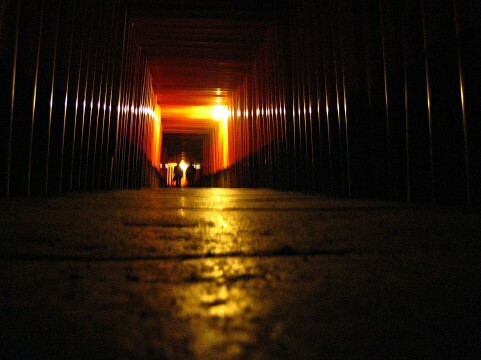 Fushimi Inari Shrine is open to everyone 24 hours a day, 365 days a year. 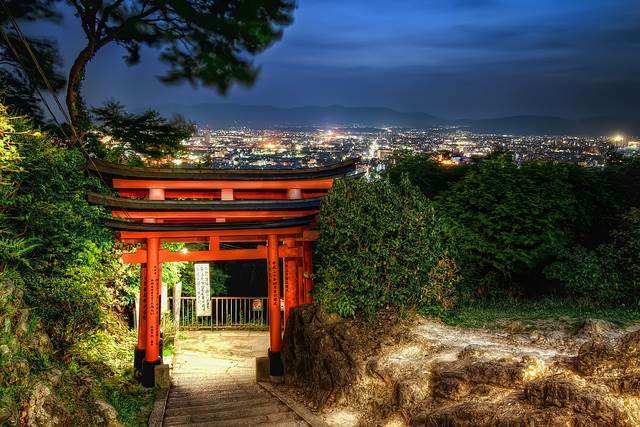 At night, paths and Torii gates get lit up, which give the shrine an eerie, but also fairytale-like aspect. It is also a bonus that there are less visitors at night. 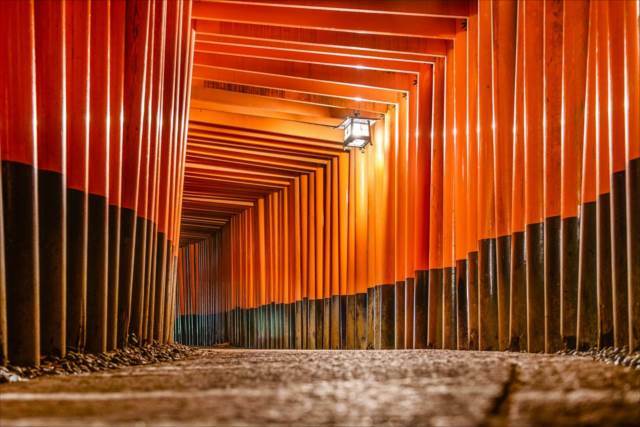 Fushimi Inari Shrine is definitely one of the Must-See spots in Kyoto. 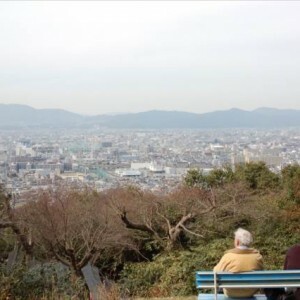 If you have time, it is worth going up to Yotsu-Tsuji and enjoy the view of Kyoto city. On the other hand, climbing up to the mountaintop is not always recommended since there is not a particularly remarkable view there. If you want to do so, you should start at dusk. The illumination will eventually add an enjoyable aspect to it.